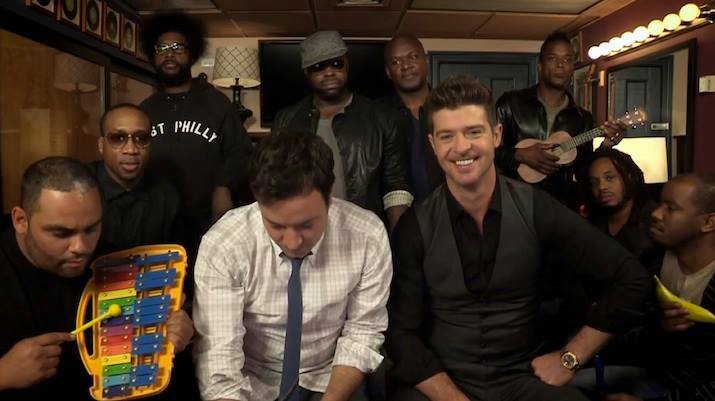 Jimmy Fallon and The Roots perform another popular song on classroom instruments. It all started with Carly Rae Jepsen and "Call Me Maybe" a couple of years ago. Now Robin Thicke's Blurred Lines gets the treatment.